"Towards Effective Control of Turbulent Transport Phenomena"
"Mathematical analysis of enstrophy dissipation via point vortex solution for regularized Euler equations"
"An approach to studying the relation between cellular automaton models and partial differential equation models of some physical phenomena"
Note: This was a joint seminar with "Kyoto Dynamical Systems seminar". "Mathematics and Climate - Challenges for Dynamical Systems"
Abstract: Mathematical models and statistical arguments play a central role in the assessment of the changes that are observed in Earth's climate system. While much of the discussion of climate change is focused on large-scale computational models, the theory of dynamical systems provides the language to distinguish natural variability from change. In this talk I will discuss some problems of current interest in climate science and indicate how, as mathematicians, we can find inspiration for new applications. "Nonlinear evolution of vortex sheets with non-uniform current in MHD flows"
Abstract: This talk was given in Japanese with slides written in English. Note: This seminar will be broadcasted at the University of Tokyo (Graduate School of Mathematical Sciences); please contact Norikazu Saito noriazu(at)ms.u-tokyo.ac.jp for details. "The Navier-Stokes equations and Wiener path integrals: a probabilistic approach to the regularity problems"
"Strong \(A_\infty\) weights and quasilinear degenerate elliptic equations"
Abstract: Strong \(A_\infty\) weights are introduced. Then, degenerate elliptic equations with respect to a power of a strong \(A_\infty\) weight are studied. Then, Harnack inequality and local regularity results for weak solutions of a quasilinear degenerate equation in divergence form under natural growth conditions are proved. We stress that regularity results are achieved under minimal assumptions on the coefficients. "Shape processing methods based on ideas from topology"
Abstract: This talk was be given in Japanese. See this page for more details (in Japanese). "Numerical Methods of Quasicrystals and Applications"
Abstract: In this talk, we will introduce a high-precision numerical method for studying quasicrystals, i.e., the projection method. This method is based on the philosophy that a continuous distributed quasicrystal is a continuous function over a quasilattice. It can be used to study the soft quasicrystals. In particular, the projection method decomposes the quasiperiodic structure by a combination of the almost periodic functions, and provides an efficient algorithm to calculate the combinational coefficients in the higher-dimensional space. At the same time, the projection method provides a unified computational framework for the periodic crystals and quasicrystals. 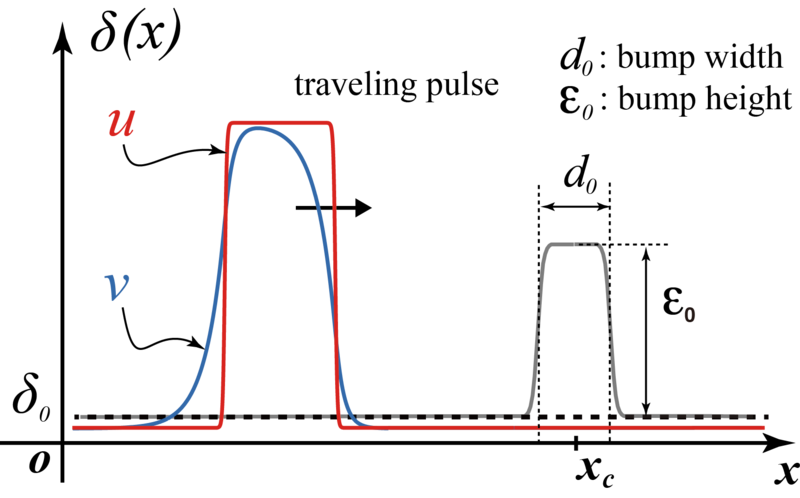 The free energies of the two kinds of ordered structures can be obtained with the same accuracy. Therefore, it can be used to determine the thermodynamic stability of periodic and quasiperiodic crystals in theory. We have applied the algorithm to a series of coarse-grained density functional theories, and obtained 2-dimensional 8-, 10, 12-fold symmetric quasicrystals (computed in the 4-dimensional space), and 3-dimensional icosahedral quasicrystals (calculated in the 6-dimensional space). The corresponding phase diagrams, including periodic crystals and quasicrystals, have been constructed. Note that the day is different from the usual one. The place is the same as usual (6-809). "Type II blow-up of solutions to a quasilinear parabolic equation"
Note that the day and time are different from the usual ones. The place is the same as usual (6-809). 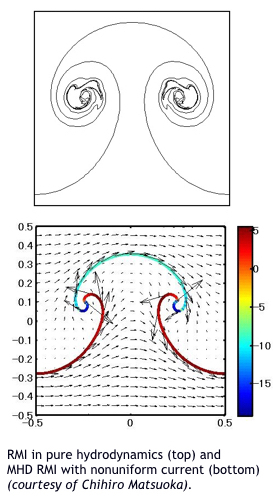 "Heterogeneity-induced dynamics of a front-back pulse arising in some bistable medium"